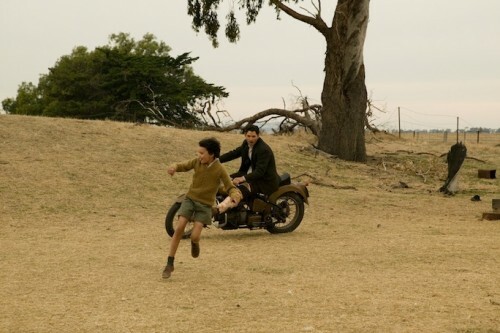 Romulus, My Father and the film of the same name celebrated the harsh beauty of the Moolort Plains in Central Victoria, the country of my boyhood. As author of the book, I've been deeply touched by the way it and the film have moved people in many parts of the world. In their emails to me they have expressed admiration for the beauty of the landscape. More importantly, many revealed they understood that it is integral to the story told in both mediums. My love of it shaped the mood of the book. Richard Roxburgh, the director of the of the film, said that to be true to the spirit of the book the landscape would have to be a character in the film. That landscape is now threatened by a proposal to build a massive chicken factory at the eastern edge of the plains. If the proposal gets up, the factory will process 8 million chickens a year in 24 sheds each the length of the Melbourne Cricket Ground. It will spoil the life of all nearby residents, undermine the livelihood of many of them and put flora and fauna at risk. 5000 truck movements a year will service it, disrupt the calm of the plains, and too often endanger locals and tourists by driving them off the road. It will stink and probably pollute watercourses and the tank water of nearby farmers and villagers. I call such processing plants factories. The Broiler Code that regulates them calls them farms, but they are no kind of farm. If you wanted to show city kids the many forms of farm life, you wouldn't show them one of these. They are industrial plants that make meat out of chickens without pretending to respect anything that looks like a chicken's natural life. Standing in a space the size of an A4 sheet of paper for the short time it takes to make food out of them, they will be processed as things rather than living creatures. These factories are an affront to the dignity of animal life and shame our humanity. That is why they can affect one's feel for a rural landscape differently than large wheat silos do. Please help us stop this factory. Help us to bring nearer the time when its cruel and degrading practices are outlawed. Landscape, I confess, is not a word that can fully capture the ways that a part of the earth can enter one's soul, nourish it and determine most deeply who one is. 'Country', as indigenous peoples speak of it, does much better. Bureaucrats who apply the Broiler Code talk of 'visual amenities'. Can you imagine our indigenous peoples expressing their grief over what has been done to Uluru, by saying, "Whitefellas buggered up our visual amenity"! But it is hard for non-indigenous peoples to speak authentically of 'country', so I will stick to landscape. My boyhood on the plains was long ago. I am now almost 69 and have spent much of my time away from them, away from Australia in fact. But during those many years away that region of Central Victoria stayed with me. People often say that they hear a distinctive voice in my writings. I know that voice was formed growing up on the Moolort Plains, my spirit enriched by their beauty after I had an epiphany on a hill overlooking them. I went to that hill to shoot rabbits for our dinner and for the dog. Instead, as a commentator on Romulus, My Father put it with gentle irony, I "stumbled on transcendence". Only 11 years old I awakened with a shock to the beauty of the natural world. I reached the hill in the mid-afternoon. For the first time in my life I was really alive to beauty, receiving a kind of shock from it. I had absorbed my father's attitude to the countryside, especially to its scraggy trees, because he talked so often of the beautiful trees of Europe. But now, for me, the key to the beauty of the native trees lay in the light that so sharply delineated them against a dark blue sky. Possessed of that key, my perception of the landscape changed radically as when one sees the second image in an ambiguous drawing. The scraggy shapes and sparse foliage actually become the foci for my sense of its beauty and everything else fell into place–the primitive hills, the unsealed roads with their surfaces ranging from white through yellow to brown, looking as though they had been especially dusted to match the high, summer-coloured grasses. The landscape seemed to have a special beauty, disguised until I was ready for it; not a low and primitive form for which I had to make allowances, but subtle and refined. It was as though God had taken me to the back of his workshop and shown me something really special. It was inconceivable to me that I should now shoot a rabbit. The experience transformed my sense of life and the countryside, adding to both a sense of transcendence. During many of those years away I wrote about genocide, crimes against humanity and international criminal law more generally, the crimes against Australia's indigenous peoples and against those who recommend torture as a means of protecting us against terrorist attack. The material is not cheerful. When thinking about that material exhausts me and I am tempted to yield to pessimism, I seek food for my spirit. 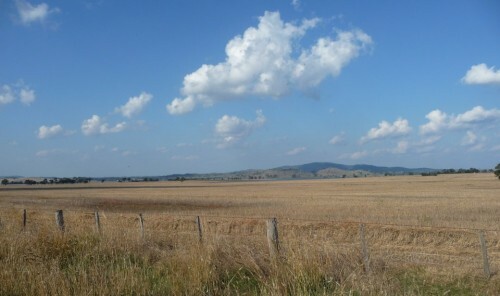 I often drive across the Moolort Plains sometimes visiting the site of my childhood home, Frogmore. We all need places where we can gather our strength, courage and capacity for hope. The turmoil in the world today makes me believe that the generation of my grandchildren will not be protected as mine has been from the terrors suffered by most of the peoples of the earth, because of poverty, natural disasters, political upheavals caused by climate change, and the evils inflicted upon them by other human beings. Their belief that all the peoples of the earth share a common humanity will be severely tested. So too will their faith that the world is a good world despite the suffering and the evil in it. The beauty of nature is the form of nourishment to which human beings are most readily attracted. If one is blessed, as I was as a boy living on the plains, it can awaken a redemptive, unconditional love of the world mediated by its beauty – unconditional because it is not based on an assessment of whether the good outweighs the evil in it. Lovers of the plains will soon fight the developer at The Victorian Civil and Administrative Appeals Tribunal (VCAT). He has lots of money and will try to break our will by dragging us into intolerable debt when the case is heard. All donations will go towards legal costs which will be more than $300,000. Help us fight for the protection of landscapes that give joy and nourish our spirit in dark times, personal and public. Click the relevant link for information about Shalvah, Boundary Farm, Nuggetty Cottage, signed photographs and books. We are fighting to save the landscape and way of life of a community. We are trying to prevent a cruel assault on the dignity of animal life. Please help us pay legal costs. A two night stay for up to four adults at Boundary Farm, an historic Bluestone Homestead, on Baringhup West Road. Includes breakfast provisions. Situated on Boundary Gully and the Loddon River. AND a full day tour, with lunch, of the Moolort Plains and the sites of Romulus, My Father, the book and the film with Raimond Gaita. AND dinner with Raimond and Yael Gaita at Shalvah their home, overlooking the Moolort Plains. AND a signed hard back edition, with slip case, of Romulus, My Father. Boundary Farm less than a kilometre from the proposed factory, will be ruined as a B&B if it is built. A two night stay for two people at Nuggetty Cottage. Beautiful cottage nestled amongst 24 acres of bushland and boulders, a few minutes from the historic goldfields town of Maldon. Raimond Gaita wrote part of The Philosopher's Dog there. AND tour of the Moolort Plains and the sites of Romulus, My Father, the book and the film with Raimond Gaita. AND dinner with Raimond and Yael Gaita at Shalvah, their home overlooking the Moolort Plains. AND a signed hard back edition, with slip case, of Romulus, My Father. Signed copies of four of Raimond Gaita's books: Romulus My Father, After Romulus, A Common Humanity: Love and Truth and Justice, and The Philosophers Dog. A half day tour, with lunch, at Shalvah if that is your choice, of the Moolort Plains and the sites of Romulus, My Father, the book and the film AND signed copies of hard back edition, with slip case, of Romulus, My Father. * $140 in offline donations included in total.